Dear and Cherished JusticeGhana Volunteer, Subscriber and Visitor, we wish to take this opportunity to wish you a Happy and Prosperous New Year and to express our warmest gratitude to you for your support and loyalty. This year, our Year Resolution shall take a new look with the bid of making our Annual Report public to you so that you might have a better glimpse of what we did in the year 2014 and where we wish to go. But as usual, please find below a review of what in our judgments we saw as major news in the 2014. Health News (Graphic Online, Thursday, 30 January 2014) Mental health patients to be cleared off streets, Dr Akwasi Osei- the Acting Chief Executive of the Mental Health Authority stated that the Authority is liaising with relevant bodies to clear mental health patients from the streets. “A systematic programme dubbed: "Operation clear the street and unchain mental health patients" is being put in place to take mental patients off the streets for treatment in two to three months and integrate them back into the society,” he said. JusticeGhana had earlier on, published an article on the Mental Health in Ghana. Friday, 07 February 2014- The XXII Olympic Winter Games (Sochi) 2014 began and ended on Sunday, 23 February, 2014. BBC Sport correspondent Lawrence Barretto [Sochi 2014: Russia top medal table as Olympics come to an end] reported that Host nation Russia finished on top of the medal table as the 22nd Winter Olympics came to a close in Sochi on Sunday after 17 days of competition. 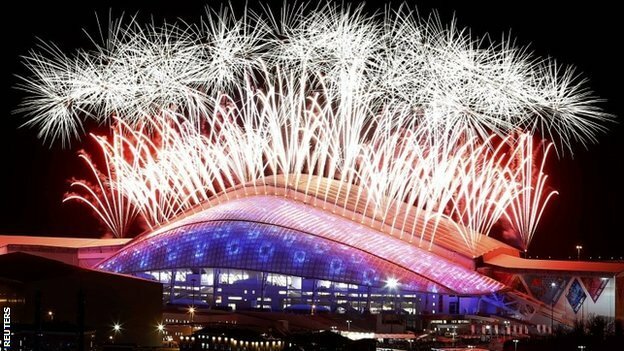 “International Olympic Committee president- Thomas Bach officially closed the Games during an extravagant 130-minute ceremony. South Korea was given the Olympic flag as Pyeongchang hosts the 2018 Games,” the report adds. Friday, 14 February- Outbreak of Ebola in West Africa: In March 2014, news about a rapidly evolving outbreak of Ebola haemorrhagic fever was reported to have started in Guinea. The outbreak, in the words of reliefweb.int/disaster, subsequently spread to Liberia, Sierra Leone, Nigeria and Senegal. 08 March- Malaysia Airlines Flight MH370 got missing: The Malaysia Airlines flight MH370, with 239 passengers on board, got missing on its scheduled journey from Kuala Lumpur- the Malaysian capital, to Beijing in China on Saturday March 8. According to the Malaysian Aviation authorities, the Flight MH370 disappeared from civilian radar screens about an hour into the scheduled six-hour flight. Tuesday/Wednesday 14-15 April- Abduction of Nigerian School Girls: The Boko Haram militants abducted more than 200 schoolgirls. On 01 November 2014, the Mail Online UK reported that the man, who identifies himself as Abubakar Shekau, said the 219 schoolgirls, who were taken from the remote northeastern town of Chibok, in the Federal Republic of Nigeria, are now 'in their marital homes'. Wednesday, 13 May- Mine Accident in Turkey: An explosion at a coal mine in Soma, Manisa, Turkey, caused an underground mine fire, which burned until 15 May. The Soma fire took 301 lives, and had been described as the deadliest mining disaster in Turkish history. Turan Yılmaz(hurriyetdailynews.com, 31 December 2014) quoted Public Audit Mehmet Elkatmış during a press meeting at the Parliament on 30 December that “Turkey has not adopted the culture of resigning.” The report also said that regulations that were linked to particular incidents were damaging the sense of justice in the society. The Turkish Parliament approved earlier this month the International Labor Organization (ILO) convention on safety and health in mining, following debates after the recent disasters, Yılmaz had said in the report. Friday/Saturday 12 June to 13 July- Brazil 2014 FIFA World Cup opens: The Happiness Flag is seen as artists perform during the Opening Ceremony. SAO PAULO, BRAZIL - JUNE 12: The Happiness Flag is seen as artists perform during the Opening Ceremony of the 2014 FIFA World Cup Brazil prior to the Group A match between Brazil and Croatia at Arena de Sao Paulo on June 12, 2014 in Sao Paulo. Saturday, June 21, 2014- Fortaleza (BRA) the World Cup 2014 Group G game between Germany and Ghana at Castelao Stadium, Fortaleza, kicked off and the full-time result was 2-2. On Tuesday, 16 June, Ghana suffered a 1-2 defeat against the United States at Natal Sports Stadium, Brazil. On 26 June 2014, BBC Gary Rose reported that Cristiano Ronaldo's second-half winner gave Portugal a 2-1 victory over Ghana, but the result means that neither team progress to the World Cup's last 16. Under the heding-“World Cup 2014: Ghana sends $3m cash to players in Brazil”, the BBC reported that Ghana's government has sent more than $3m (£1.8m) in cash by plane to Brazil to pay the appearance fees owed to the national team at the World Cup. Joseph Yamin- the then Deputy Sports Minister, is said to have told Citi FM that the players "insisted" on cash payments. "The government had to mobilise the money and a chartered flight to Brazil." The outcome of the Brazil campaign is still under presidential inquiry. Thursday, 17 July- MH17 Malaysia Plane crash in Ukraine: The Guardian UK reported on 18 July of a 'shot down' in Ukraine of a Malaysia Airlines plane MH17- killing 298 people on board plane in eastern Ukraine. The Guardian correspondents Helen Davidson and Alan Yuhas reported on Friday, 18 of July that bodies and wreckage are found near the town of Grabovo. 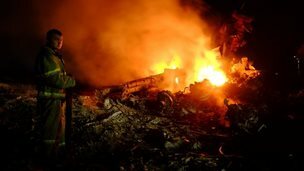 The report quoted US officials as saying that surface-to-air missile caused crash and that Ukrainian, Russian and rebel leaders deny involvement. Friday, 15 August- Panama Canal Centenary Celebration: The centenary of the Panama Canal has 15 August 2014 MARKED the historic day when the ship S.S. Ancón crossed the Canal for the first time. History has it that Construction of the canal began in 1904. According to visitpanama.com, during the ten years it took to execute the colossal work of hydraulics of the Panama Canal, more than 56,000 people from over 30 countries came to Panama to participate in the project. “The bulk of the excavations for the construction of the interoceanic waterway were dug at Culebra Cut, in the central mountain range of Panama. An estimated 1,600 people were involved in this project from 1907 to late 1913. All of the soil excavated during this phase is equivalent to what was used to erect the Egyptian pyramids,” it said. Tuesday, 19 August- US Protest at Ferguson: The shooting and killing of Africa-America teenager Michael Brown (18) on August 9, 2014, in Ferguson, Missouri, a suburb of St. Louis, by Darren Wilson- a 28-years-old white Ferguson police officer sparked a massive protest and National Guard deployment in Ferguson. The Guardian correspondents Jon Swaine in Clayton, Missouri, Paul Lewis in Ferguson and Dan Roberts in Washington reported that A grand jury in St Louis County declined to indict Wilson for killing Brown on 9 August, following an altercation after the officer stopped him and a friend for jaywalking. [But] he is under investigation by federal authorities, which could bring civil rights charges. Thursday/Friday, 18 &19 September- The Scotland Referendum: The majority of the Scots said NO [2,001,926 (55.30%)] to independence from Great Britain, and Yes votes stood at 1,617,989 [44.70%]. 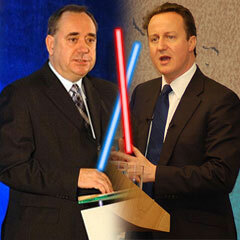 The scotreferendum.com, quoted Alex Salmond- the First Minister as saying: “A turnout of 86 per cent is one of the highest in the democratic world for any election or any referendum in history [and] that 45% [1.6 million] votes, is a substantial vote for Scottish independence and the future of this country.” With this NO triumph, Prime Minister David Cameron preserved the British history and the Union Jack. Monday, 27 October- Ebola Conference: “Ebola Crisis- What it means for West Africa and The World”, The National Center for Disaster Preparedness, in collaboration with the Earth Institute brought together experts and stakeholders for a timely and educational conference to respond to spreading of the crisis. Monday, 10 November- The Arrest of Ruby Nayale Amatefeh[aka Ruby Adu-Gymafi]: Nayele was arrested on 10 November 2014 at Heathrow Airport, London, for allegedly smuggling 12.5kg cocaine through VVIP Lounge, Kotoka International Airport, Accra, Ghana, onboard British Airways flight No. BA/078 on 09 November 2014. She was first heard at Uxbridge Magistrates' Court on 11 November 2014 and committed for Crown Court trial on 27 November 2014 at Court 5, Isleworth Crown Court, 36 Ridgeway Road, Isleworth, London, TW7 5LP. She pleaded guilty for unlawfully importing prohibited Class A Drugs [Cocaine] to the UK, and is set to be sentenced on Monday, 05 January 2015. The said 32 year-old Ametefeh of Ghanaian origin is rumoured to be of Austrian citizenship and in possession of Ghanaian passport with number G03764497 as well as an Austrian passport with Number P4187659. Tuesday, 30 December (Reuters) - Indonesian rescuers searching for an AirAsia plane carrying 162 people pulled bodies and wreckage from the sea off the coast of Borneo on Tuesday, prompting relatives of those on board watching TV footage to break down in tears. “Indonesia AirAsia's Flight QZ8501, an Airbus A320-200, lost contact with air traffic control early on Sunday [28 December] during bad weather on a flight from the Indonesian city of Surabaya to Singapore,” the report added. Tuesday, 28 January (GNA) Eastern Region Records 1,929 DOVVSU Cases: The Eastern Regional Domestic Violence and Victims’ Support Unit (DOVVSU) of the Ghana Police Service, recorded more cases of domestic violence in 2013 than in 2012. The Unit in 2013 recorded a total of 1,929 cases which indicated an increase as compared to 1,502 cases recorded for the same period in the year 2012. Saturday, 25 January- NPP Regional Elections Held- The main opposition party New Patriotic Party (NPP), conducted its regional officers’ elections in preparation towards the much awaited 2016 general election across all the 10 regions of Ghana. This came after the party had successfully concluded its elections in 275 constituencies to elect polling station and constituency executives. The election of new national executive for the party took place on 01 March 2014. About 5,000 delegates cast their votes at 10 voting centres across the country for 267 candidates who contested the various regional positions. Friday, 12 September (Deutsche Welle)- Relief, disappointment after Pistorius verdict: High Court Judge Thokozile Masipa concluded handing down her judgment in the Oscar Pistorius trial. She declared him not guilty of murder but instead said the athlete was guilty of culpable homicide. Masipa also found him guilty of handling a firearm recklessly in a public place. She however dismissed two other gun related charges. On 10 December 2014, news broke out from South Africa that Pistorius could be convicted of murder after Judge Masipa granted the prosecution leave to appeal against the verdict. Saturday/Sunday, 20 & 21 December- The ruling National Democratic Congress (NDC) elected its National Officers for four years term in Kumase. In a solidarity message from the Convention People’s Party (CPP) to the NDC, General-Secretary Ivor Greenstreet of the CPP said among other things that apart from glaring bribery and corruption at high levels of governance and public places in Ghana, the Ghanaians are not feeling the much-taunted NDC “Better Ghana Agenda” campaign promise. And that NDC must embrace itself with capable leaders who could manage the party while in opposition in 2017. This prompted rapturous murmurs, hues and cries at all-levels of the NDC political echelons. Sunday, 28 December- Nana Addo-Dankwa Akufo-Addo: the leader of the main opposition- the New Patriotic Party (NPP), delivered a speech at Dominion Centre, North London, in the United Kingdom, calling for a new voters’ register ahead of the 2016 general elections as the current register is bloated. …obviously, this is not exhaustive. So you may respectfully, add more to this compilation.